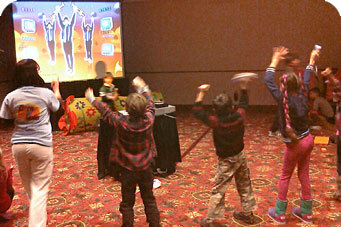 Enjoying educational activities from our sponsor School Zone at the Hyatt in Beaver Creek. We only hire sitters who have enough experience, compassion, and patience to care for your children. "Cindy was fantastic. Kids loved her. Couldn't ask for a better sitter." 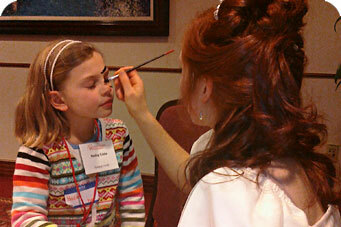 --- Megan K.
Care 4 Kids can arrange face painters any many other fun activities for your group event. "Hannah was absolutely wonderful. Thanks so much." --- Jennifer S.
Care 4 Kids can provide childcare for large groups state wide. "Everything was perfect, our sitter was great." 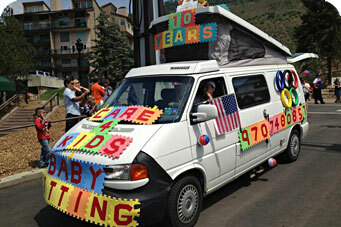 --- Sean M.
Care 4 Kids supporting the Vail 4th of July parade. "Hey Ryan, I do want you to know that I think what you are doing is awesome and it really does show how much you value your employees!!!" 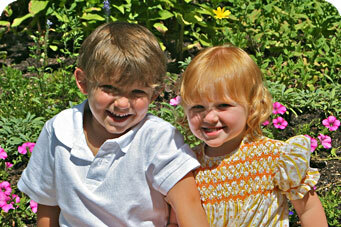 --- Brittany K.
We choose a sitter for your kids as if we are choosing one for our own. 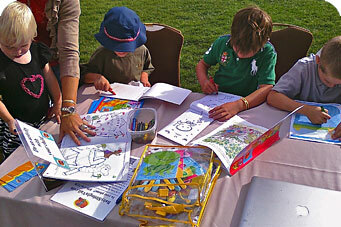 Care 4 Kids is family owned and operated. 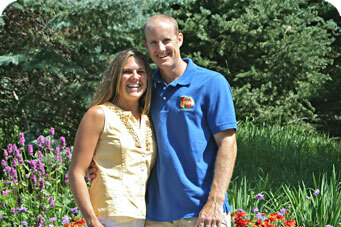 We are celebrating 10 Years of Business in the Vail Valley. 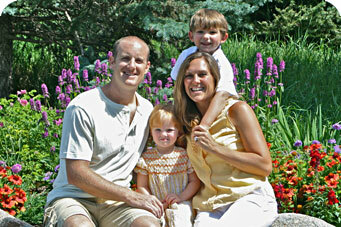 "Thanks again for supplying us with such great sitters and being so accommodating." --- Gina S.
As parents, we understand your need for a sitter who will adapt to your parenting style. We take pride in the quality of people who represent us. 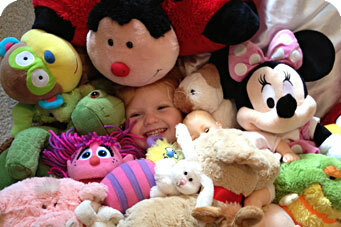 Can you find our doll Millie? "Thank you for everything; you two are a pleasure to work for and run a wonderful business!" --- Christi. When you call to inquire about our service or reserve a sitter, you will always have an opportunity speak with the owners, Amy or Ryan. We are happy to answer any questions to ensure your confidence in the sitter we choose for your family. We email you a Bio and picture of your sitter.